A Kickstarter for a board game adaptation of Joss Whedon’s Dr. Horrible’s Sing-Along Blog had looked to be going very well earlier this week, going 4x past its stretch goal in just a matter of days. 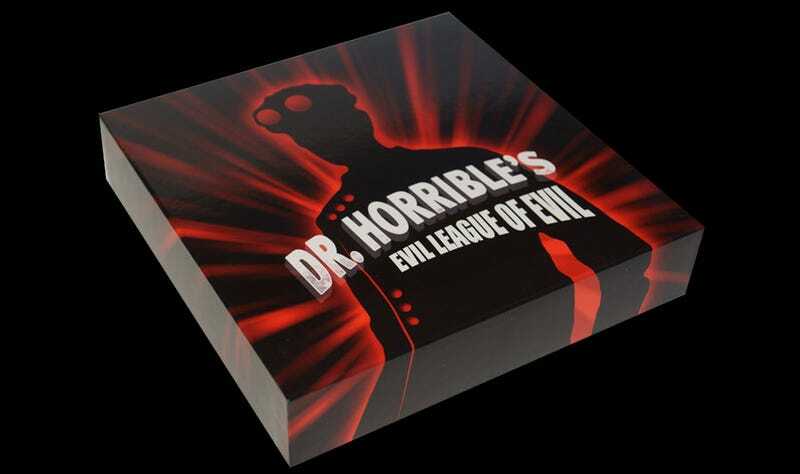 Slight problem though: the game never had the Dr. Horrible license. This is wild. It’s one thing to use a license when designing a board game in private—people do it all the time, just for fun—but to take it to Kickstarter as a commercial product without official blessing is nuts. For those of you that have played the game, or are still willing and eager to play the game. I’m very sorry that you will have to wait a bit longer. We will go back to the drawing board and do this right. I can’t say how sorry I am for the miscommunication and more importantly for the distrust this brings, but please know that this is sincere and I’ve learned a lot from this. Dr. Horrible’s Sing-Along Blog, a project born out of the big Hollywood writer’s guild strike, premiered in 2008. The show starred Neil Patrick Harris, Nathan Fillion and Felicia Day. As of July 2018, it does not have a licensed board game adaptation.